On Saturday I ran my first 10K. 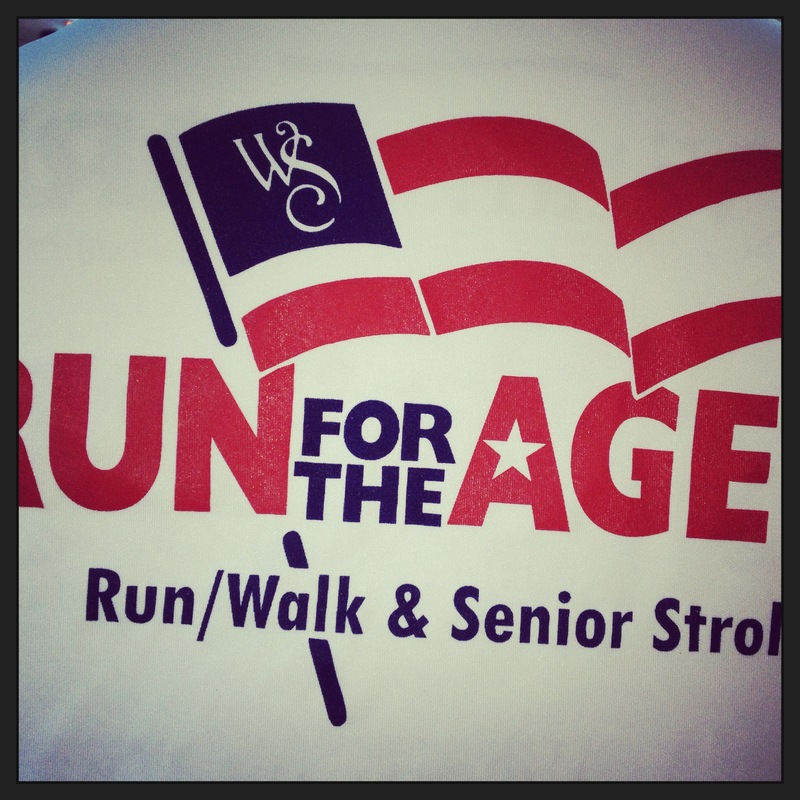 It was Run for the Ages that benefited the local senior center. Black Girls Run had 22 participants plus countless numbers of volunteers and cheerleaders. The race was the same day as my Opening Day for my youngest son. The race was to start at 8:30am and the game started at 11. I got to the race and was ready to go. I was on a deadline. Race and baseball game. The course had changed due to construction. The 10Kers had to do the 5K course forward and backward. The race started late and I was a little frustrated. Normally I wouldn’t be but I had to get to my son’s first baseball game of the season. I have never missed the first game and I didn’t intend to Saturday. BANG! The race started, I was running, faster than I wanted to. I told myself to slow down, I was pacing at a 7:36 mile. That was too much too soon. I slowed down. I went another mile and the cramping began. I have never had cramps before during a race and I didn’t know what to expect. All I kept saying to myself was, KEEP GOING. I didn’t drink enough water during the week and it was causing cramping. I was busy all week and it had slipped my mind. With every step, the cramps got a little worse. I kept saying, you got this girl, KEEP GOING. I got to the finish line and my BGR sisters were cheering me along. I was relieved I finished and did not walk through the cramps. I was relieved that I made it. It was almost 10. I thanked the ladies and apologized for not being able to stay for the 5Kers. I rushed home. I had to shower and get dressed and be at the baseball field by 11. I was under the gun. Shower, get dressed, grab drinks and get to the field. I was moving faster than I thought I could. I made it to the field at 11 sharp! Whew! I was so relieved. I shouted over to JOrdan to let him know I made it. He gave me a smile, a small wave and a head nod. After all he was at the field with this friends and teammates and could not lose cool points for being over joyed that I had made it. He told me that later. In between innings I happened to look at my phone, and saw that I have several texts and emails. I began to read them. They were from my BGR members, I had placed in the race. 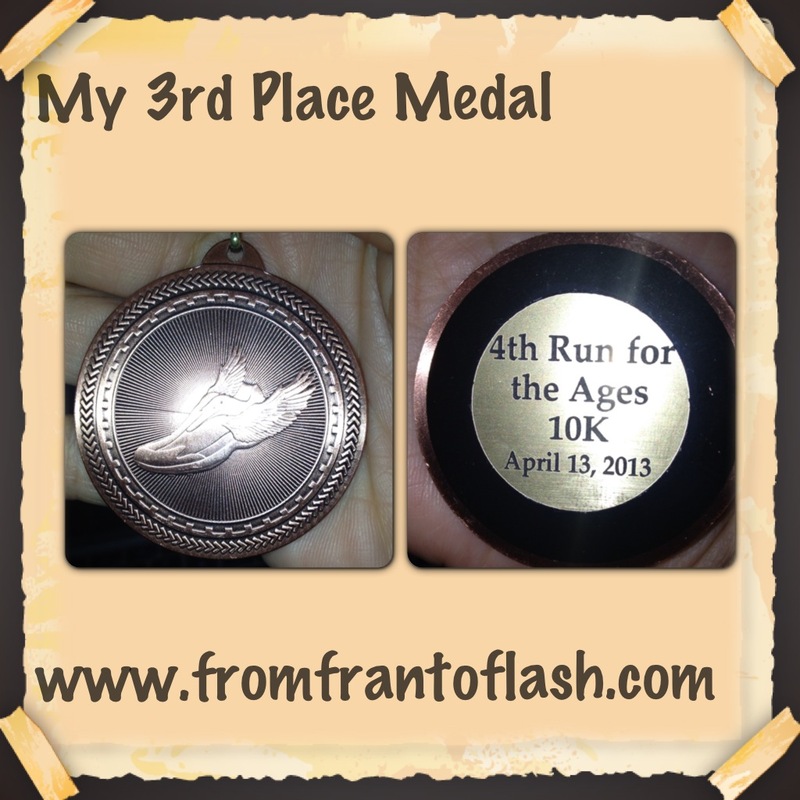 Initially they thought it was 1st, but it ended up finishing 3rd in my age group. I was still excited but sad I had missed it. This is my 5th race and I have placed and missed it. It was bittersweet. I was not there to receive my first medal. Yes, I said FIRST because I plan on winning more. It was a tough race due to lack of proper hydration but it was a lesson I needed to learn. It will not happen again. My 1st Medal and I’m very proud of it. 34th overall and 3rd in my age group, not too shabby for an old lady. I am proud of myself, I placed in a race and my son won his first game of the season a true win-win situation. 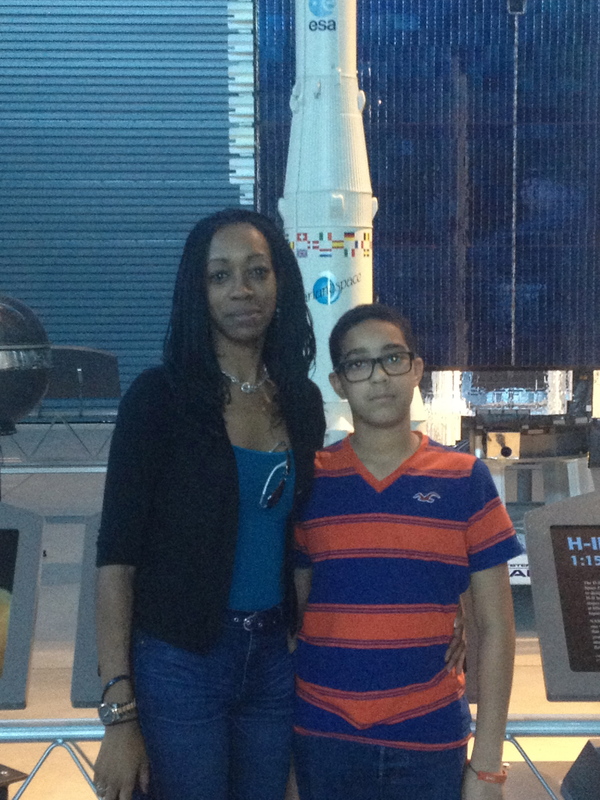 I must admit both of us were on Cloud 9 that day. Although I had cramps and rushed to get to the game and missed receiving my medal I would not change a thing. I got to see my son’s first game and that was my #1 priority. 2 Races In Less Than 1 Week! If you haven’t guessed or read it by now I LOVE RUNNING! This month I am running 2, possibly 3 with 2 happening in the same week. Run Francine Run! I have been selected to in the lottery to run the Credit Union Cherry Blossom (10 Miler) in Washington, DC along with another race called Run for the Ages (5K) that benefits the local senior center. Run for the Ages is on the same day as Opening Day for my son’s baseball team and I’m Team Mom. Uh-oh! The good news is the race is local and starts at 8:30 and the game is at 11 and I have a backup for the early festivities at the baseball field. I plan on running like the wind and getting out of there as soon as possible. I have only missed 2 of my son’s games and both times I was hospitalized. I will NOT miss Opening Day. I am determined to be there so I WILL be there. As Team Mom, I get a jersey and a hat like the rest of the team. We are the Angels this again this year. I was given the number 13 and will add .1. I’m mixing the best of both worlds running and baseball. It does not get any better than that! 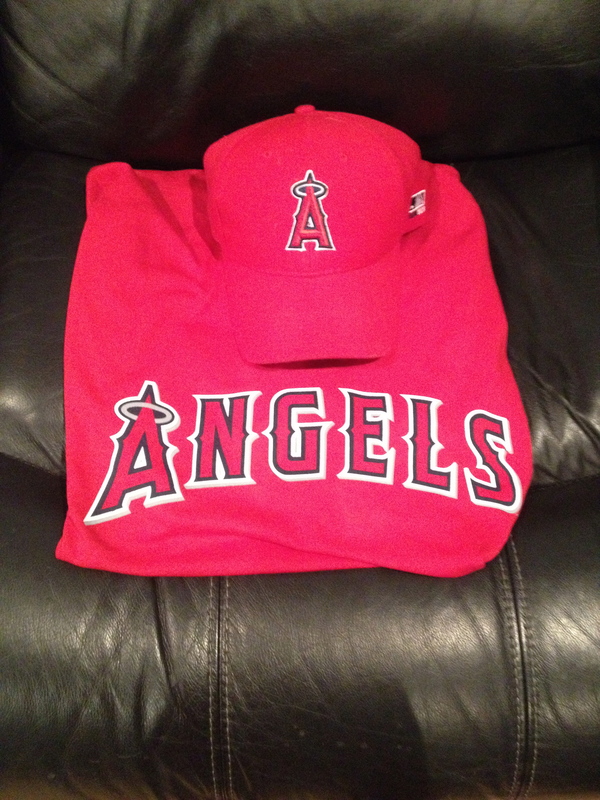 Let’s Go Angels! I am excited about all that I have going on with running and baseball with things winding down in school. The semester is over at the end of the month which will means that I will have more time for my boys, baseball and running. I have a lot going on but I am both thankful and grateful to have these opportunities. 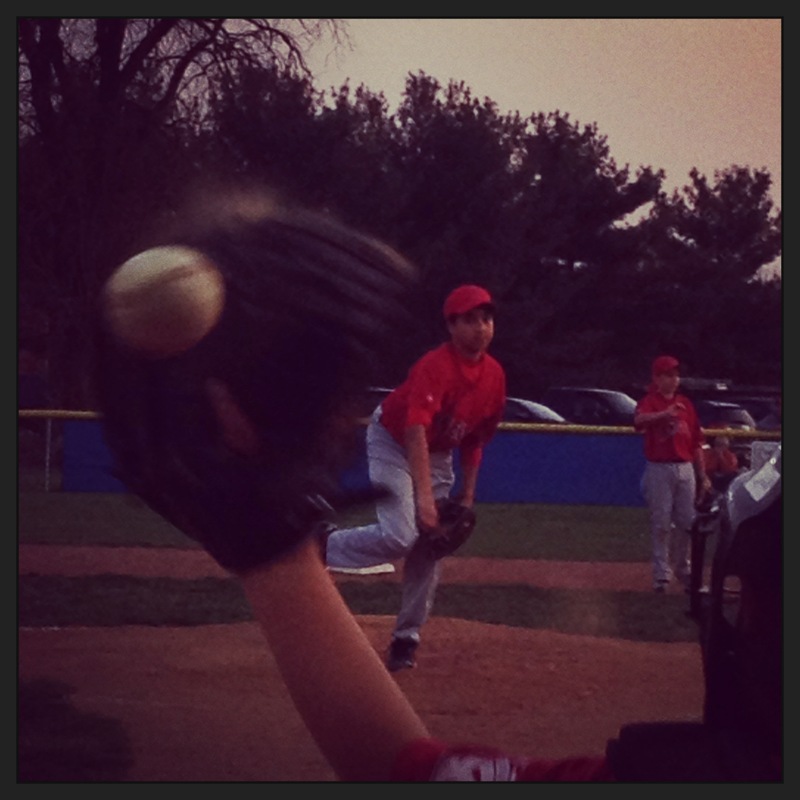 I love my boys, running keeps me grounded and watching my son play baseball is priceless. Boys, baseball and running, and I have found a way to balance it all.